So my friend Amy wrote a blog about a stupid article over on Moviefone called “Girl’s Guide to The Avengers” (there were a bunch of other words after that but they seemed useless so I left them out). The article was crap. You know one of those articles that makes your blood get all icy. That gives you the overwhelming urge to spew letters out all over a page. I was going to do this but Amy did a great job so go read her blog. I can’t add anything new. It got me thinking though. I am going to see the Avengers tomorrow. Is a guide really that bad of an idea? Not a guide for the general population but one for any woman friend who might be seeing the movie with me. Not my wife, of course. She needs no help understanding the Avengers because she is super awesome (the fact that she edits this blog in no way influenced the super awesome comment. I double pinky swear). I will hog the popcorn. I think Scarlett Johansson is beautiful and am a little peeved she is the only female superhero in the movie (I am also jealous of all the biceps in the movie. It’s not fair that I don’t have them and that you have such a variety to look at). I hate that they chose The Black Widow as the only female character. It should have been Ms. Marvel or the Wasp or Scarlett Witch. I will argue this with you all the way through the stupid commercials before the movie. You will grow annoyed and be tempted to elbow me in the skull. There will be a mandatory after movie discussion of all our favorite parts (there will be coffee and chocolate involved in this discussion). 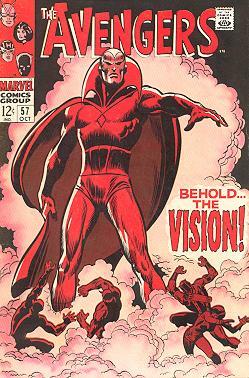 I will be sad about my two favorite childhood characters (Wonder Man & The Vision) not being in the movie. I will wonder why Ultron wasn’t the villain. I will probably not let these points go and you will be tempted to bring out the elbow of silence again. We will debate what the hell the small clip after the credits meant. I will still think Joss Whedon’s best superhero work is Dr. Horrible’s Sing-Along Blog. Arguing with me will be fun but pointless because I make mules run in fear. You will be hungry because I hogged the popcorn. We will have a great time. Don’t worry about the elbows. My wife will take care of them. Joss has said that Wonder Man is the only character he has no desire to add, which doesn’t bode well for the Vision, either. I would love to see the Scarlet Witch because she’s my favorite Avenger, although what I’d really love to see her in is a crossover involving the X-Men, which won’t happen because companies can’t seem to share their action figures. I think the reason S.J. is the only female in the lineup is because Joss wasn’t introducing any new characters and she’d already gotten play in Iron Man 2. I don’t count Maria Hill as a new character. Still, the movie is beyond epic and my bar for the sequel is now raised astronomically high.